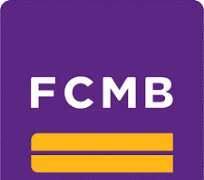 First City Monument Bank Limited (FCMB) has restated its support for the federal government's drive towards the diversification of the economy. To this end, the bank recently held a forum for exporters in Kano. According to a statement, the Emir of Kano, Alhaji Muhammed Sanusi II, Executive Director/Chief Executive Officer of the Nigerian Export Promotion Council (NEPC), Mr. Olusegun Awolowo and other stakeholders who attended the customer forum pointed out that the series of customer fora organised by the bank on export trade had been laudable and impressive initiative as it will go a long way to assist the growth of businesses and activities of the government, particularly in its bid to diversify the economy. It was aimed at further empowering and enhancing the capacity of its customers and other stakeholders on the rudiments and benefits of export trade and how FCMB could provide support, such as direct export financing, refinancing and rediscounting of sales contracts/invoice (pre-shipment and post-shipment financing) for agro commodities, solid minerals and other non-oil resources. 'We must realise that the era of Nigeria exporting raw agricultural and other primary products is gone. For us to achieve the required mileage and benefits in international trade, we must redirect our efforts on processing finished products and export these items which will earn us more revenue, build capacity and accelerate the country's drive towards industrialisation'. He expressed gratitude to FCMB for organising the forum in Kano, while urging exporters in the state to take advantage of the opportunity to take their businesses to the next level. In his speech, Awolowo, who was represented by the Regional Co-ordinator, North-West of the Council, Alhaji Abdullahi Mamman, stated that, 'the NEPC's collaboration with FCMB will play an important role in delivering the Zero-oil plan strategy and making the non-oil export sector a significant contributor to foreign exchange earnings'. He added that by organising the customer forum, FCMB is helping to build a higher level of engagement with exporters and other stakeholders to promote competitiveness, competence and capacity through innovative and bespoke financial solutions. Awolowo explained that the zero-oil plan is a coherent agenda to mobilise public and private sector resources towards replacing oil as the main source of the country's foreign exchange and revenue. 'The focus is to make the world a market place for Nigerian non-oil products. We want to grow non-oil exports from. $2.7billion (2014) to $8billion in 2019 and eventually $25billion by 2025', he said, adding that, 'appropriate trade financing definitely is critical in achieving this feat'. Commenting on the customer forum, the Executive Director, Business Development of FCMB, Mr. Adam Nuru, said it was one of the various initiatives of the bank to build the capacity and support customers to take their businesses to the next level in order to effectively leverage on available opportunities, such as those provided by financial inclusion and e-payment solutions.